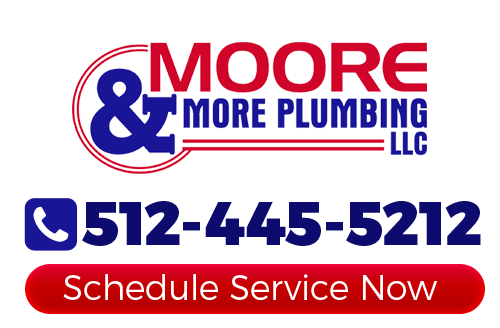 Moore & More Plumbing is the preferred Austin plumber locals call on for expert plumbing services. Since 1986, we have been providing both residential and commercial customers with high quality plumbing service work. We take great pride in the work we do and in our dedication to offering our customers the best results possible. We are a family owned business and treat our clients the way that we would want to be treated – if not better. Being part of this community for 30 years now is a milestone for us. Our customers are also our friends, neighbors and fellow community members. So, obviously, it is in our best interest to make sure that our customers are 100% satisfied. We don't just want to meet your expectations, we strive to exceed them. To our team of pros, going above and beyond is the only acceptable approach to providing our clients with exactly what they need. One of the most common tasks that we take care of is drain cleaning work. No one wants to deal with a slow or clogged drain and you shouldn't have to. The important thing is to make sure that you make the wise choice and call on a pro as opposed to trying to DIY the project. Don't make the mistake of thinking that store-bought chemicals are sufficient enough to get the job done. This approach does more harm than good and doesn't save you that much money. Wise homeowners know that the only way to tackle this is to hire a professional plumber to get the job done. Your water heater is also another important feature in your home. This is a necessity and not a luxury, so it is important to treat it as such. While it is nice to have the luxury of being able to relax in a hot bath after a stressful work day, there is more to it than that. You need hot water for health and sanitation for dishes, clothing and your own personal hygiene, just to name a few. We can help you to better understand the options that you have and even assist in helping you make the right decision. From tankless water heaters to traditional storage tank style electric and gas water heaters, our Austin plumbers carry and service them all. 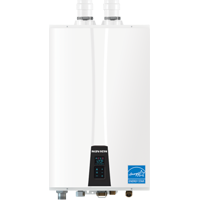 When it comes to hot water heater installation and repairs, there is no better service provider. There are so many things that can go wrong when it comes to your plumbing system. It is important to know who to call on to get the expert service you need. By finding a reputable plumber in Austin to help with your repair this time, you will always know who to call on when you have trouble in the future. That is, if you find an established and reputable crew to work with like our experts here at Moore & More Plumbing. While we never want anyone to have to deal with plumbing problems, we feel good knowing we can deliver superior results and prompt plumbing repairs in Austin and nearby. Don't keep putting off all those plumbing repairs you need when we can take care of them for you right now. Quality should always matter when it comes to your plumbing system. It doesn't matter if you are working on the plumbing system for your home or your business, the quality should be the same level. Don't even settle for less than the best plumbing services in Austin when it comes to any work that goes into improving your home or business. You can feel good knowing that our highly trained and skilled technicians have also passed a criminal background check, for your safety and peace of mind. We educate our employees on every aspect of the business, including everything from customer service to the latest in installation and repair techniques. Call today to find out firsthand what a difference true quality makes. If you are looking for an Austin plumber then please call 512-445-5212 or complete our online request form.